I love my school but Ames is a shopping desert. Without a great mall near campus my shopping is usually restricted to online. Which is good and all but I miss looking around in my favorite stores. So, as soon as I got home I took advantage of the shopping opportunities that came my way. These three sweaters are from Old Navy. I am going to return the pink and beige one on the end but it is super cute. 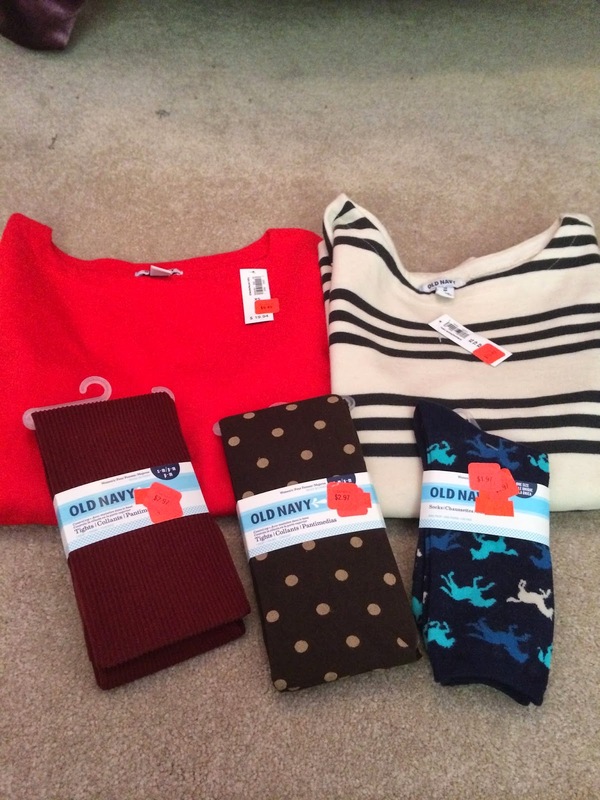 Right now Old Navy has a lot of great nautical pieces for decent prices. 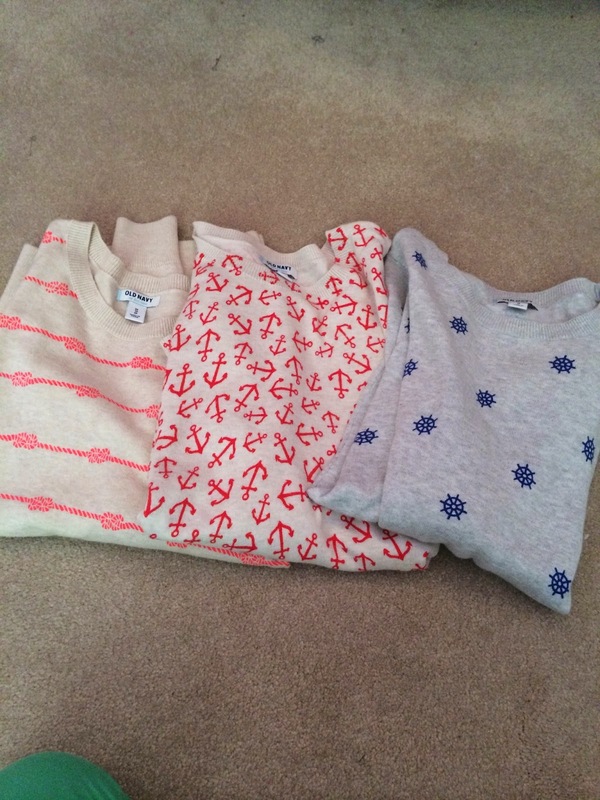 So if you are a nautical fan like myself be sure to check out their spring stuff. All of these shirts are from a variety of places. The purple shirt is a tunic style top I got from Dry Goods on super clearance. For only about $10 how can you pass it up? The blue oxford button down is from the Ralph Lauren Factory outlet store. It was a pretty good price (especially after my student discount!). I have this same shirt in white and I wear it almost every week. They are a great investment if you know you will wear them often. The bright turquoise polo is from the Brooks Brother's outlet store. 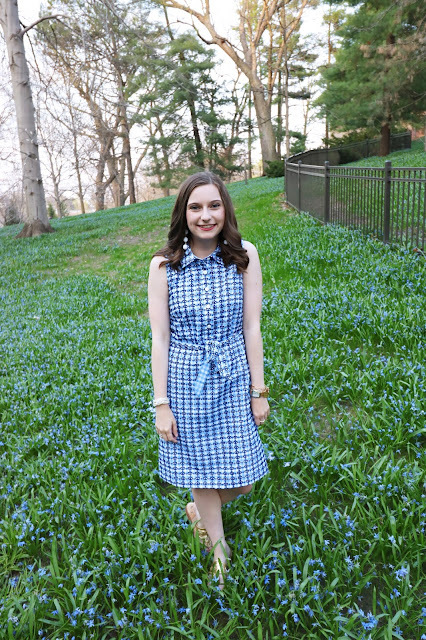 I love the gingham collar detail that it has. The shirt with the lipstick on it was on sale at Pacsun. It is actually part of the Kendall and Kylie collection they have. It is a crop top with an open back and is going to be a great paired with high waisted jeans for a night out. 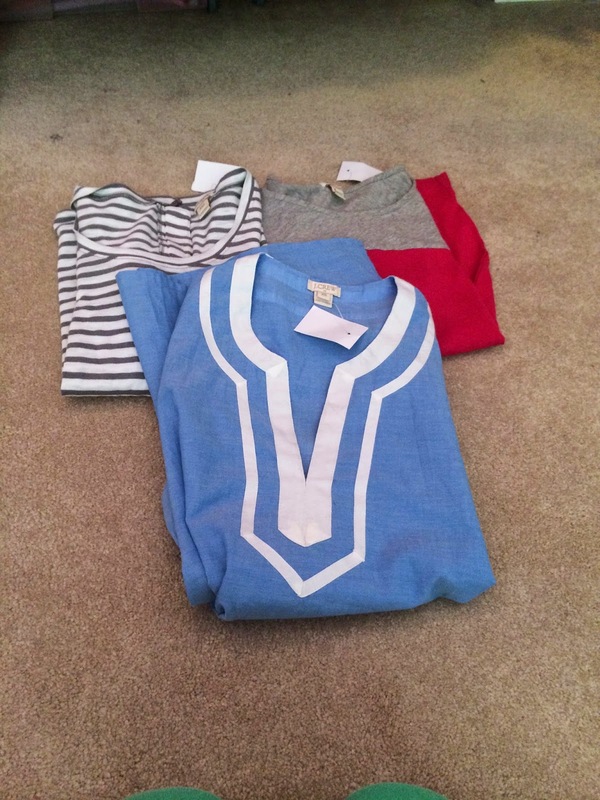 Then the last shirt is a simple striped tee from Old Navy which was only about $4! 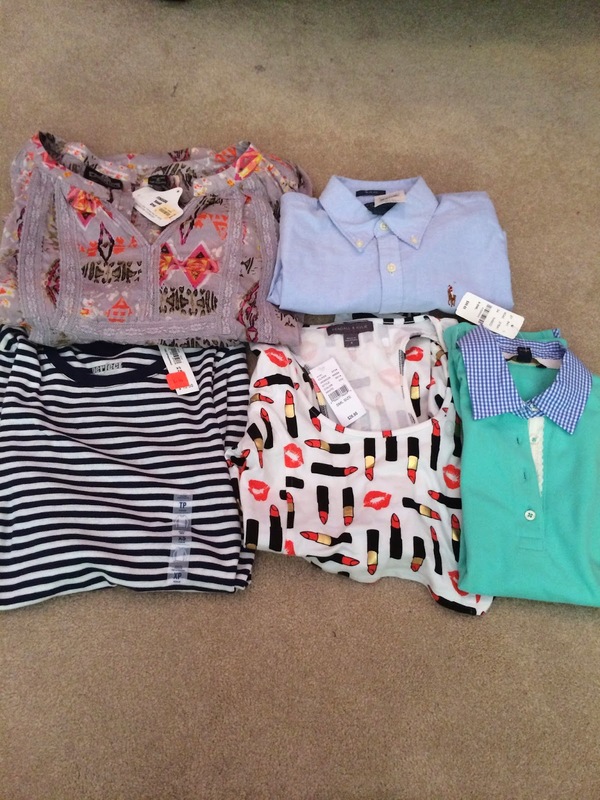 All of these items were on clearance at Old Navy for super cheap! So be sure to check their clearance for good deals. 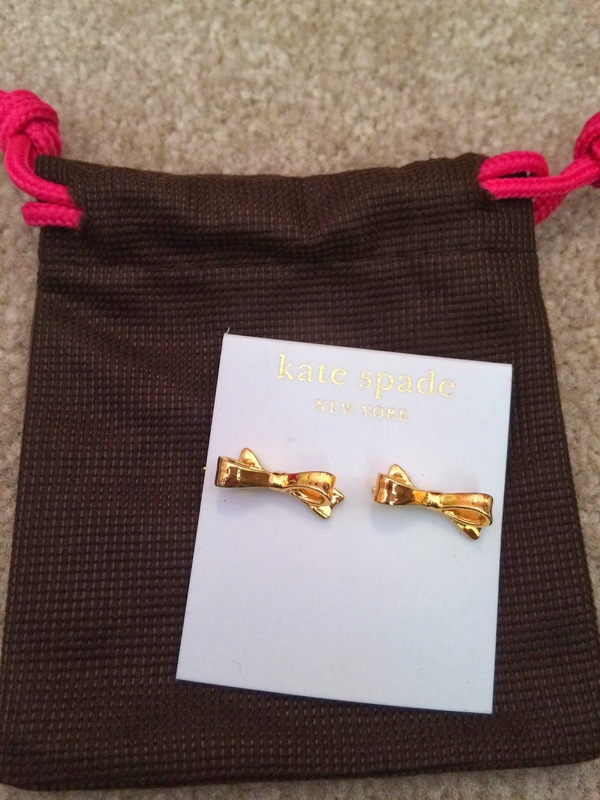 I scored these super cute Kate Spade earrings for a great price at their outlet! Here are three shirts I picked up at J Crew. The striped and pink shirt are simple tees that were only $10 each! Then the blue shirt is a tunic that will make a great swimsuit cover up. 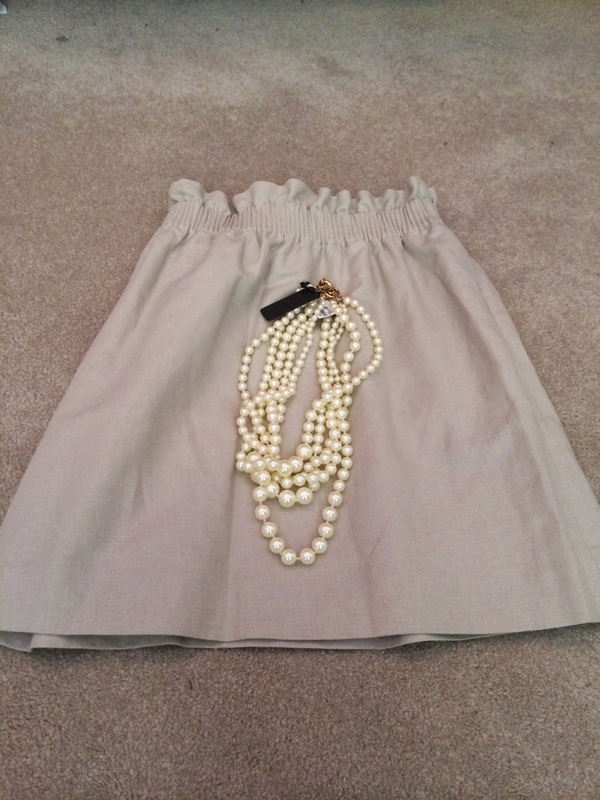 I love these type of J Crew skirts and I was lucky to find one on sale! It fits perfectly and this color will match a lot I think. Then I also picked up this fun pearl necklace from J Crew. 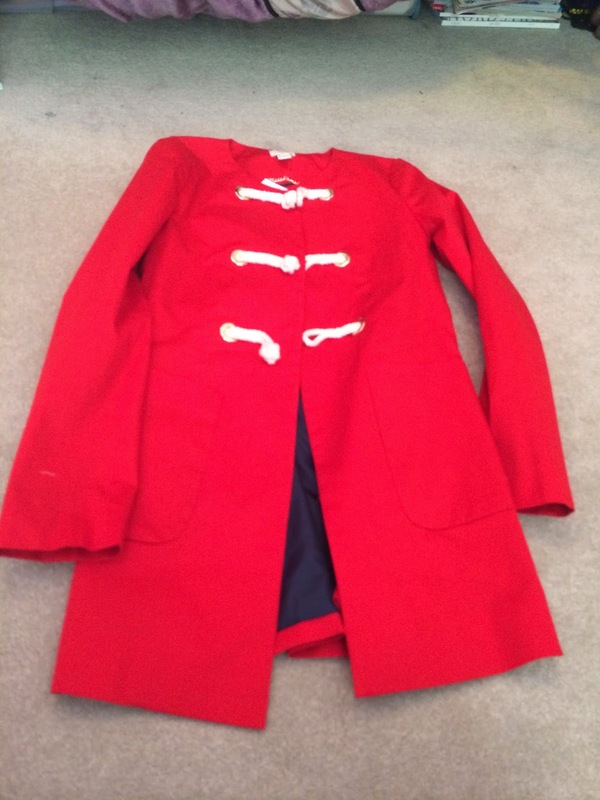 The last thing I got was this fun red J Crew coat. It is light but will make a great coat for the spring time. Also, I am loving its nautical touches. You picked a lot of cute stuff and it looks for a great price! I need to make a post like this myself! !